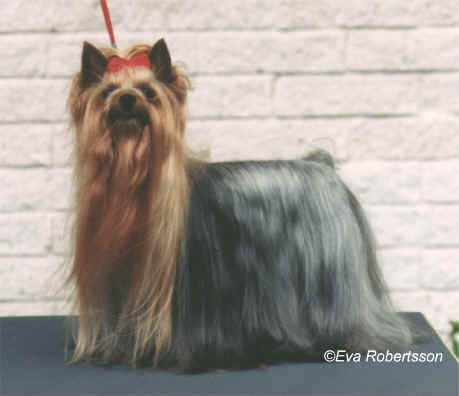 At Swedish Top 20 Yorkie´s she has been placed nr 15/1996. 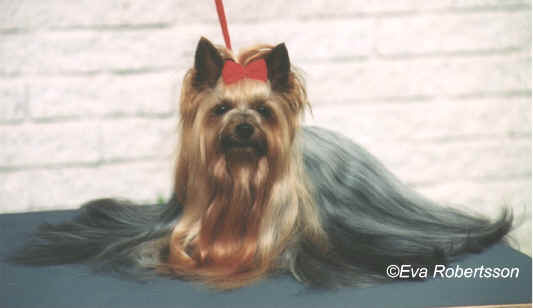 At our Club Show she has been placed nr 9/1994 and 7/1996. Here is ”Monias” offspring, who has been compeeting. ZUE DOGGY-BOOMS HIGH LIFE, owner Majvor Julin. He needs one more cac to become CH.